College Hall was the site of the Department from the beginning until 1966. 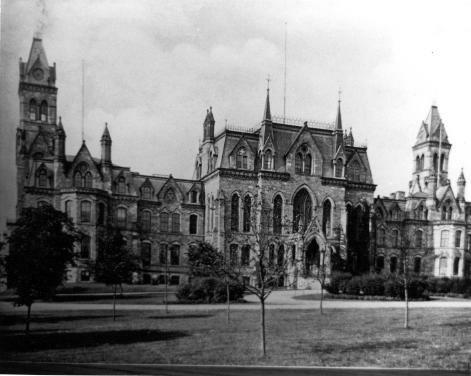 Psychology has been at the University of Pennsylvania since 1887. From the start it has emphasized both scientific rigor and practical application, not always at the same time. The first professor, James McKeen Cattell, was an advocate of scientific method and careful data collection (with expensive apparatus). One of his successors, Lightner Witmer, was the inventor of the term "clinical psychology" and the founder of the first "psychological clinic" in the U.S. In the 1960s, Pennsylvania made a bold move to improve the quality of the Department. But this was one of many events that provide focal points for the present account. These pages are a work in progress. Comments and contributions are welcome. Material in these pages comes from various sources, including the Archives of the University of Pennsylvania and the less formal archives of the Department itself (various file folders lying around in the old Fernberger Library), and personal collections of Department members. Paul Rozin compiled a lot of this material for a centennial celebration in 1987. Christopher Green's Classics in the History of Psychology has been most helpful. College Hall (and Logan Hall) viewed from Woodland Ave., ca. 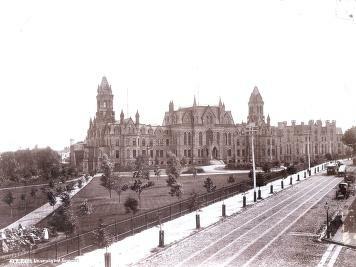 1892. At the end of the 1880s, several American colleges and universities wanted to expand into the new field of psychology in various ways. Penn was among the first, along with Johns Hopkins and Indiana. Arguably, the first professor of psychology in the U.S. was James McKeen Cattell. Cattell began what is now the Department of Psychology, but left after a few years for Columbia. He had an interesting career. Penn played an important role in American psychology. 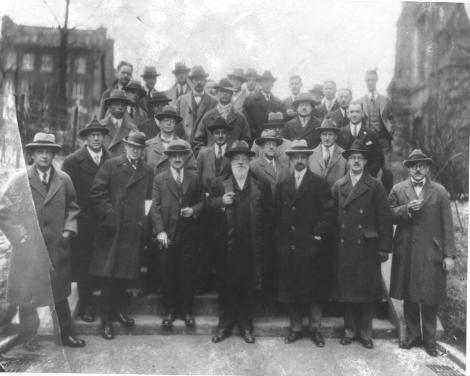 Penn faculty were among the founders of the American Psychological Association, and the first annual meeting was held here in 1892, as well as the meeting of 1926. From the beginning the laboratory was a place for both teaching and research. Witmer was the inventor of the term "clinical psychology" and the founder of the first psychological clinic (1896). Twitmyer discovered the conditioned reflex before Pavlov. He was puzzled why his results did not arouse more interest when he presented them to the APA meeting in 1904. In some ways, the courses offered in 1910 are similar to those offered today. In other ways, they are different. Clinical psychology was not the only applied area to begin at Penn. 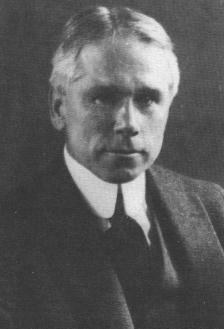 Morris Viteles started the field of industrial psychology. Unlike Witmer, though, Viteles remained the sole representative of this field in the department. In 1958, Robert Bush, a mathematical psychologist with a doctorate in physics, was chosen as chair, a position he occupied until 1964. He had a mandate to re-build the department, which he did with gusto (and help from some of the new members he hired). Ulrich Neisser wrote Cognitive Psychology (1967) while he was at Penn, in the Psychiatry Department. In the early 1970s, Justin Aronfreed created interest in cognitive development and attracted Rochel Gelman to Penn. Gelman attracted others and found colleagues in other fields and departments, including Lila Gleitman, a psycholinguist who moved from the Graduate School of Education into the Psychology Department. Gelman, Gleitman, and (in particular) Bonnie Webber of the Computer Science department organized a cognitive lunch, which, in turn, led to a cohesive inter-disciplinary group of cognitive scientests. In 1978, the group started a formal program, with funding from the Alfred P. Sloan Foundation. In 1991 the National Science Foundation provided funding for the Institute for Research in Cognitive Science, as a Science and Technology Center. Under Bush, the graduate program had several "major areas," which included clinical, developmental, cognitive, sensation/perception, social, and learning. Each major area had a head (or czar). The head, consulting with the members, made up the standard Ph.D. qualifying examination, which was called a "major area exam." In 1978, the department decided to abolish major areas. Instead, graduate students would design their own programs and choose their committees. The idea was both to encourage work that drew on several traditional areas and to reduce the power of the czars. The change permeated the way people thought of the department. It became "one department," with overlapping loyalties, loose ties among faculty, and changing coalitions. Attempts to put Humpty Dumpty back together again and define non-overlapping "areas of interest" within the department have repeatedly run into trouble. The current classification of faculty is thus represented as overlapping categories. The recent history of the department is best described in terms of several of the (overlapping) areas of interest. In part because of the changed atmosphere that resulted from the abolition of major areas, it became possible for the department as a whole to define its goals. Martin Seligman and David Williams - both originally interested in learning - had become seriously interested in clinical psychology. 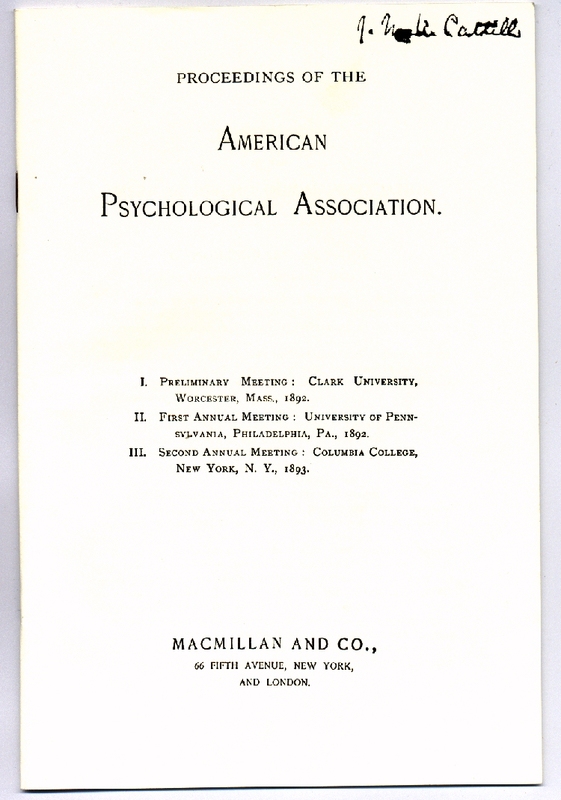 A committee headed by Jonathan Baron recommended in 1979 that the department re-build clinical psychology and try to maintain its accreditation by the American Psychological Association. (The other faculty members were Seligman and Williams, and the committee also included four graduate students: Andrew Borson, Rosemary Mongan, Jackie Persons, and Karen Schwartz.) After raucous debate, the department faculty approved the report. Several professors were hired, including Robert DeRubeis, who became head of the APA-approved clinical program. When he became department chair, Dianne Chambless joined the faculty and took over that position. 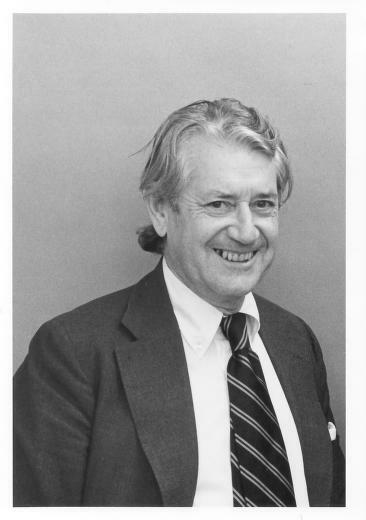 Martin T. Orne came to Penn in 1964, where he founded the Unit for Experimental Psychiatry, located at The Institute of Pennsylvania Hospital until 1995. He is known for his work on demand characteristics of psychology experiments, hypnosis, and "coercive persuasion," among other topics. He had long-standing ties with the Department of Psychology, including advising of graduate students. At the request of Emily Orne and David Dinges, after his death in 2000, Joanne and Robert Rosellini put together a web site with biographical material and reprints of classic articles, hosted on this server. Solomon Psychology Laboratory, completed 1966. Richard L. Solomon was a major contributor to the psychology of learning. He had many well-known graduate students. Two of them, Robert Rescorla and Martin Seligman, returned to Penn and are now on the faculty. Our laboratory building was named in his honor after his death. Solomon Asch came to Penn in 1972 as head (czar) of the cognitive major area. 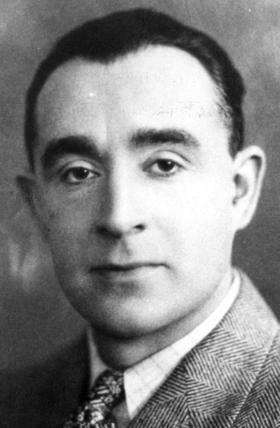 Asch was famous for his extensive work in social psychology. But he had a long-standing interest in what we now call cognitive psychology, especially memory but also other topics such as metaphor. He spent most of his career at Swarthmore College (where Henry Gleitman was once his research assistant), but came to Penn from Rutgers, where he was head of the Institute for Cognitive Studies. During his time here, he was mostly occupied with research on memory and association, but he also helped to build the social psychology area at Penn. He retired in 1979 and died in 1996. In 1998, Paul Rozin and Clark (Rick) McCauley founded the Asch Center for Study of Ethnopolitical Conflict, which moved to Bryn Mawr in 2008. Bush brought to the department Jacob Nachmias, David Green, Saul Sternberg, Leo Hurvich, and Dorothea Jameson Hurvich. Recently the strength of this area has been re-built with the addition of several new faculty members. In the 1970s, Paul Rozin began to explore what is now a very hot field. Others were hired. Eventually, Martha Farah came to stay, and three other faculty members have recently joined us in this area: Sharon Thompson-Schill, Amishi Jha, and Russell Epstein. Our web page describes the department today. Sokal, M. M. (1981). An Education in Psychology: James McKeen Cattell's Journal and Letters from Germany and England, 1880-1888. Cambridge, MA: MIT Press. McReynolds, P. (1997). Lightner Witmer: His Life and Times. Washington: A.P.A.